Life-in-Death wanders through the streets that will take her to her dealer’s flat; she ignores the blue and white police tape sealing off the perimeter around the flat, she ignores the police car parked up a ways and its sharp eyed and vigilant police officers. She moves sluggishly, half in a daze, barely aware of the weather (it is freezing cold), or the child without a coat, wandering across the street in front of her. Life-in-Death so thin and pallid you could knock her over with a single simple breath. Riding the subway oblivious to anything around her, clutching a bag full of sensual goodies old man pimp clutching her arm. The face of chronic addiction, the flip side of recreational drug taking, neither benign nor relaxed, intense, predatory, debilitatingly desperate. Where they can,most people avoid her because she’s the pristine neighbour’s nightmare, the emergent symptom of a neighbourhood that’s slowly falling a part at the seams because where there’s severe non-recreational addiction there have to be dealers. Drug cartels and the influence they wield as a result of the money they make are a fact of life in Mexico. 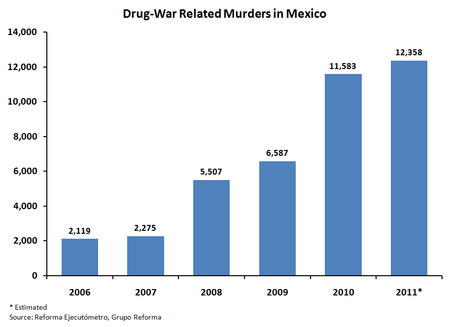 I repeat, drug cartels and the influence they wield as a result of the money they make are a fact of life in Mexico. They are admired by the poor who make up their foot soldiers for doing what the state has so far failed to do for the majority of its people; provide them with a viable and dignified living. school children are more than willing to do drug runs for them; police and army officers are more than willing to aid them in avoiding detection and arrest. Even musicians sing traditional folk ballads exalting their escapades, like Robin Hood they are the people’s folk heroes, doing deals with the rich and then amply rewarding the poor who serve them. If you take offence at what I’m saying then consider the radical increase in drug deaths year upon year. Since the war on drugs was initiated in Mexico in 2006, there have been more than 45,000 drug war related deaths and by the time President Calderon had left office there had been more than 55,000, under President Pina Nieto, that number has increased to almost 70,000 deaths (excluding disappearances). The amount of manpower dedicated to this ‘war on drugs’ on the Mexican side, 45,000 soldiers, and 35,000 federal police forces, the amount of money? $60 Billion over a seven year period. On the American side, during President Bushes time in office, the Merida Initiative a $1.9 Billion military and judicial reform aid package was agreed. U.S unmanned drones were granted access in order to gather intelligence on the drug cartels, unarmed customs and border protection drones flew into Mexico to give support to Mexican military and federal police drug raids, and ‘aid’ was also supplied in the form of high-tech tracking gear, data analysis kits and computer hacking technology. In spite of all this, the many high profile arrests and the thousands of grass roots arrests, the flow of drugs into America and Europe from Mexico has continued unabated if not unimpeded. And at every stage of this war the drug cartels have stepped up their game because with the billions they make they have the money to do so. 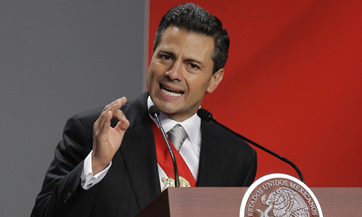 Although President Nieto still appears to be pursuing military action against the cartels, he has also spoken about the need to negotiate with them in order to restore calm to Mexico’s streets and reduce the number of civilian casualties. Because in the end it all comes down to names and not numbers. Or at least that is what the government would have its people believe even though it has taken 90,000 deaths; each death representing a family whose lives have been taken apart by the explosive aggression expelled from one side in this battle to the other. $50 billion a year, and costs American society so much more in terms of the terminal decline of impoverished communities which were beleaguered anyway . 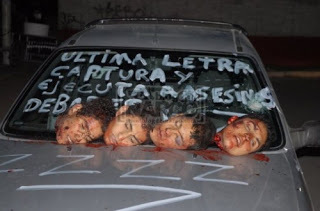 But who can put a price on the names of the Mexican victims of drug cartel violence? Desparicidos (disappeared): Mayra Osuna Tirado, Desparicidos: Modesto Orpinela Garcia, Desparicidos:Antonio Ortega, Desparicido: Marco Navarro. Desparicidos: Jeovany Aguado, Desparicidos: Arturo Perez, Desparicidos: Fernando Ruela. Who can possibly place a price on the absent father,daughter, mother or son? In Cuidad Juarez alone 7,000 sons and daughters went missing, children who may have made a big financial difference to more vulnerable family members, had they been left alive to do so. Supposedly in the end grief and rage, names and faces have won out against the moral imperative to end a criminal way of life which whilst richly rewarding those who embrace it, devastates the lives of the innocent. ‘Life-In-Death’ may occasionally flash her skirts in the impoverished barrios of Mexico, but she hasn’t taken up the kind of endemic, pervasive, residence that she has in America, Mexican society is doing just fine without her,this war really isn’t theirs, yet again it’s the USA’s. Joint Enterprise Murder : But It Wasn’t Me! Joint enterprise, a shared project or shared bold undertaking. Imagine half a dozen youngsters aged between twelve and fifteen & an adult on the ‘prowl’ in their neighbourhood of choice. They’ve travelled through several small neighbourhoods ‘foraging’ and now they’ve entered a middle sized grocery store in a pretty run down, grimy looking neighbourhood. It’s a small, poorly staffed business and so the teenagers expect next to no resistance as they steal as much as they can carry. The poorly dressed adult, who is standing out on the street orchestrating the whole event, looks this way and that, whilst calculating how much money he’ll make and what he’ll do with it. He’s so intent upon making his calculations that he doesn’t notice the two police officers who were trailing behind him and his ‘boys’, and who are now watching what’s going on from the opposite side of the road, whilst calling for back up. This criminal ‘joint enterprise’ is about to go seriously wrong, these guys are going to be arrested, and I doubt a single passer-by feels sorry for them, caught so blatantly in the act. 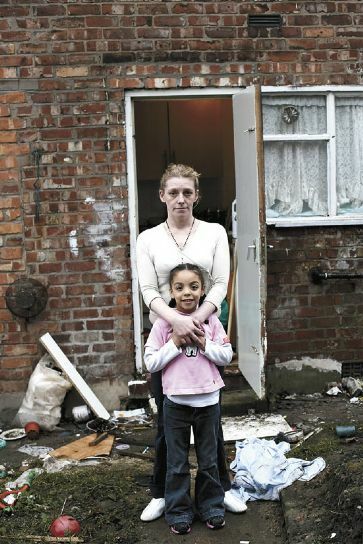 The assumption could be that these are simply impoverished people trying to survive, but in many cases the shabbily dressed adult is only shabbily dressed whilst he’s out earning his living; home isn’t the neighbourhoods he’s helping to destroy. In short this man profiting from the reckless behaviour of several others, may have instigated the crime but it won’t be him the police arrest, and in accordance with the law quite rightly so. 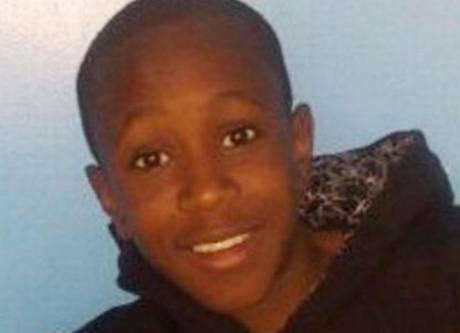 On the 2 July 2010, Zac Olugmebon was stabbed to death, by four men just outside his school gates, in fact he died in the arms of a teacher after being stabbed in the chest six times. 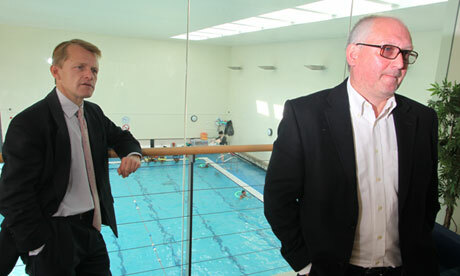 Zac attended Park Campus, a pupil refferral unit for youngsters who have been excluded from mainstream education. By all accounts he had settled down to his studies, was considered personable by staff and students,and in short he was doing well. 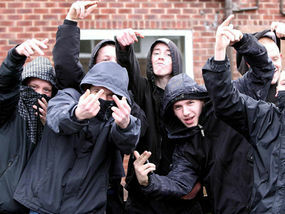 Zac’s death was the result of the escalating violence between two street gangs. Four young men pulled up outside his school, surrounded him outside its gates and fatally wounded him. His was the thirteenth death that year; year upon year the number of deaths from fatal stabbings or shootings soared, that was until the introduction of Joint Enterprise. Since then the statistics have plummeted, and when you consider the minimum sentence for someone found guiltyof this offence it’s easy to understand why. Kamer Akram was aged 22 when he was convicted of joint enterprise murder. 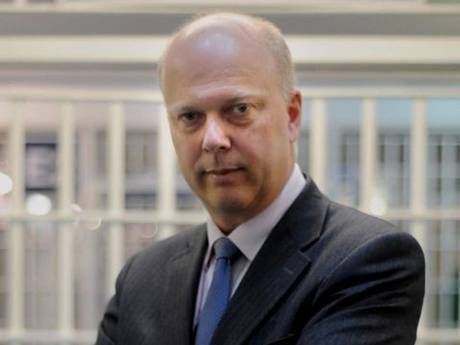 He is currently serving 11 years in prison for a murder he didn’t take part in as he had been knocked unconscious; he learnt about the attack when he was revived by a police woman at the scene. Christopher Richards drove his co-defendant to the victim’s house not knowing that his friend was armed and intended to committ murder, he is now serving 16 years in prison. Leighton Ryder was convicted of joint enterprise murder in 2010; despite witnesses confirming that he had tried to stop the attack. ‘Joint Enterprise’ a bold undertaking, now imagine this, I’m sitting in my living room listening on my phone to a friend recount his hatred for a former friend (lets call him Colin), whom he says he’s going to shoot. I’m watching episode 5, season 1, of Buffy, so his constant chatter is getting on my nerves. He tells me he’s going out and he’s going to shoot Colin and I say to him, “Yeah, well get on with it” he subsequently goes out and shoots Colin killing him in the process. Now I may have had no conscious desire to see anybody get shot let alone get killed,(my desire was to shut my friend up and finish my episode of Buffy), nevertheless under the Joint Enterprise law, I can be charged with murder alongside my friend. Sounds crazy huh? To date the campaign group Jengba (joint enterprise not guilty by association) has been approached by over 300 people who say they have been wrongfully convicted of murder. 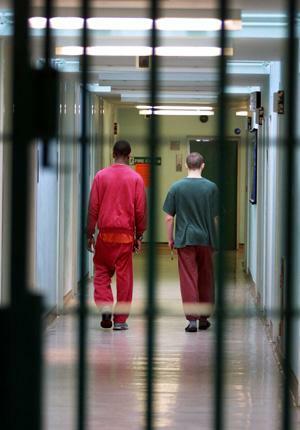 Many of those being convicted are poor and many of them are black. I get why the police when dealing with a gang of youths who have been constantly causing trouble in a neighbourhood, should grab the opportunity to lock as many of them away as possible using this law. I mean if you can’t apprehend them when they’re assaulting the elderly or robbing local businesses, why not apprehend them all for this offence? Some would call that killing two birds with one stone, others would call it lazy policing. The police love the joint enterprise murder law, because it cuts through the silence and the intimidation that often surrounds such offences. If none of the individuals clustered at the stabbing or shooting come forward, why not arrest them all and find them all guilty? That approach might work with gang members or even drug addicts who burgle someone’s home and murder them in the process, but is it appropriate to charge a woman trapped in an abusive relationship with this type of offence, simply because she was home when her partner committed murder? Is a 300 year old law against fencing duels an appropriate way to deal with a gang of fifteen teenagers, in the midst of which there is only one guilty murderer? Risk takers draw a lot of followers, so is it just to convict ten teenagers of murder, because they sought the company of someone who is a compulsive ‘risk taker’ and then froze as things got out of control? The words of former Tower Hamlets Mayor, Doros Ullah, as he commented on the murder of Ajmol Alom, a 16 year old student who was fatally stabbed several days ago. 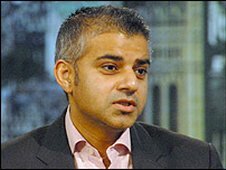 Mr Ullah went on to criticise the government for not resourcing youth services well enough and was joined in his criticisms by Rukan Hassan, a gang mediation project co-ordinator. According to him the severe cuts left his programme of summer projects effectively ‘running on fumes’. £877m the sum spent on youth services throughout Britain between 2011 and 2012, £177m more than the monies set aside by the DfE for the construction of one academy; considerably less than the amount overspent by the DfE on all the schools which have converted to academies in the same period (£1bn). £1,184m the amount of money invested in youth services two years ago, 26% higher than it is now. It might be hard for some to understand why youth workers, MPs, members of various communities and youth project co-ordinators are complaining so bitterly about these cuts. After all, it is clear that young people are increasingly immersed in social networking, texting frenetically on their Smart Phones and Blackberrys as if their lives depended on it. Surely this diminishes any need for the extensive provision of youth services across the country? But then many of the youth service projects being run have little to do with the affluent youngsters whose parents can afford to keep them entertained at home and so keep them safe. 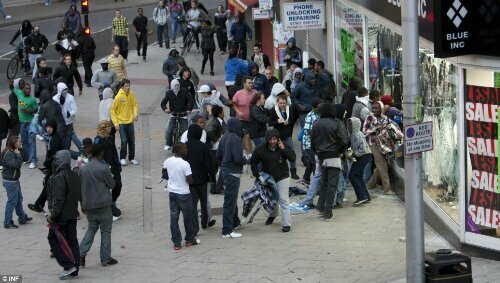 After the riots in August 2011, it became clear that one child’s Blackberry is another child’s crime facilitator. The message was sent through the free BlackBerry Messenger (BBM) network, a network which whilst intended for decidedly benign usuage became a key tool for many who participated in the riots. One ex-gang member explained how it was that she and many others from economically deprived communities across England were able to afford a handset. The cheap price of some of the hand sets helped massively, on the black market a Blackberry Curve handset could cost on average £60.00. With the help of BBM rioters were able to co-ordinate their rioting and looting with a degree of accuracy that left many wondering exactly why these youngsters were failing to engage successfully with society at large. It was suggested by a partner at DLA Piper that the rioters weren’t using BBM because they thought it was secure, and he’s right they weren’t, they were using it because they knew it was. 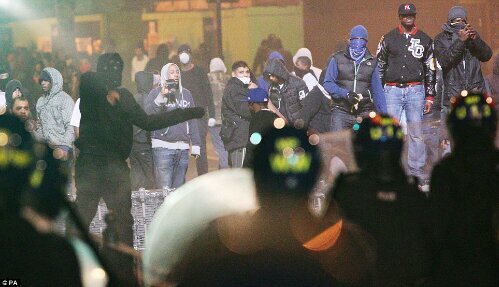 The police having considerable knowledge about organised crime gangs were able to use the same service to track down rioters with consent from the company who created it. 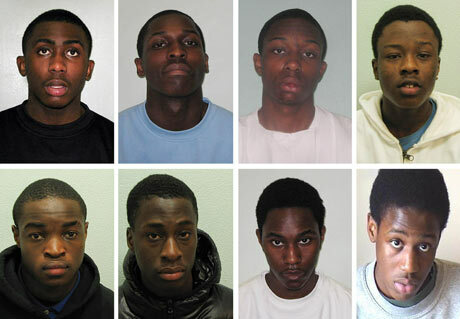 After the riots it became clear that of the four thousand people arrested, 42% were between 10 and 21 years old. Two thirds of the youngsters involved had special needs and almost all of them had been excluded from school. These were the kinds of youngsters for whom the provision of youth services would have been key and yet the government had made it clear that the provision of these services was not a priority. 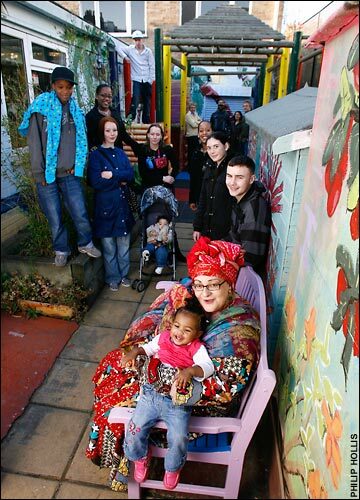 Camila Batmanghelidjh, is the founder of Kids Company, a charity which currently supports 17,000 children, 97% of whom come off the streets (rather than being referred by social services) having heard about the charity through school, and 87% of whom are homeless, as well as being mentally and emotionally traumatised in any number of ways. Unsurprisingly, many of the children accessing the charity’s services are not doing very well at school, and are prone to demonstrating ‘anti-social’ behaviour. Behaviour which though some may perceive it to be morally perverse , actually enables them to survive in communities that are severely impoverished and dangerous places for these youngsters to survive let alone thrive in. In such communities the only thing that counts is survival, any attempt to define these children as morally flawed must fail, since these children are constantly having to radically adapt to their environments in order to survive. In order for their behaviour to be transformed they need the long term support of a range of professionals, from teaching staff, to psychologists, social workers, foster carers and even lawyers. However, the cuts to council services are such that frequently the charity has difficulty persuading ‘commissioning agents’ to provide funding for the basic care of such children. Ironically, it wouldn’t take much to turn this situation around, perhaps a grant or two to professionals like Miss Batmanghelidjh, allocated funding for youth centres and refuge centres for children such as these, oh, and maybe a boarding school? £700 million in funding ought to cover that much I reckon. The point being that when it comes to enabling the nation’s youth to achieve and aspire there really are two sides to the equation. And how easy it is to forget that and wind up with a situation where somebody’s talented son or daughter fails to realise their future; because they had the misfortune to cross the path of a young person whose future was never given much thought, since it was not really considered a ‘priority’. “Now I’ve visited other urban academies where discipline has driven up results. It’s not what’s radical about Durand. Once Martin got the structure right in the classroom, he started work on the physical structure. He sold off the playgrounds. A brand new middle school building, smaller class sizes, increased teacher support, and property developments that have helped to fund the next stage of the Durand Academy’s development. 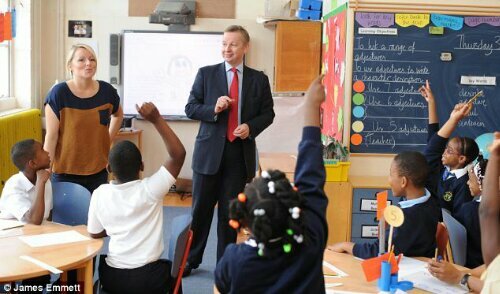 Without a doubt Sir Greg Martin deserves all the praise heaped upon him by both the parents, Mr Clegg and Michael Gove. 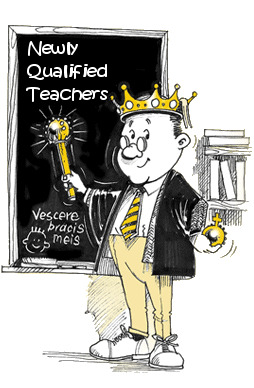 True, there has been an NQT drop out rate of 40% (in the past), conflicts with Lambeth Council (the libel action was suspended in 2010 after the Auditor offered an unreserved apology for his e-mails),and even conflict with disgruntled NQTs (and their parents), but all of that according to Ofsted is in the past. 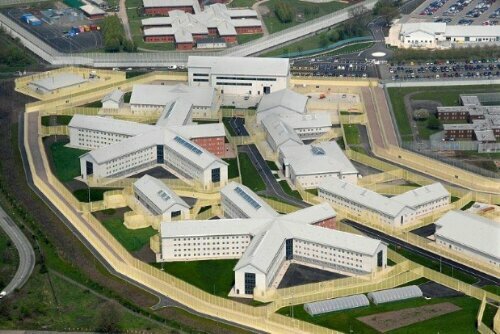 And Mr Martin is now free to proceed unimpeded with the next stage in his plans, a state funded boarding school. Oh there may be shivers running down the spines of those educationalists who believe that the whole point of Public Sector Schools, is that they impart a quality education, whilst in no way resembling elitist (divisive?) independent schools. But that is because their ideas are firmly fixed in a past where doors could be left unlocked when you went shopping, and policemen roamed London streets armed only with truncheons. La Retraite RC Girl’s School ( rated outstanding by OFSTED, GCSE pass rate in 2012 – 74%) or perhaps even the London Nautical School, which shares the same GCSE pass rate as Park Campus, Lambeth’s Secondary Pupil Referral Unit (55%, the national average is actually 58.2%). 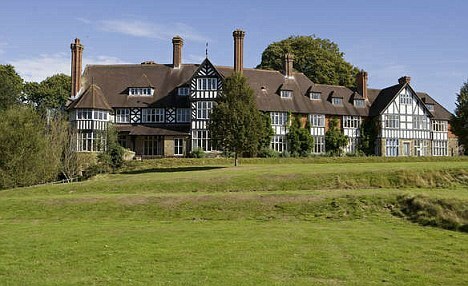 The percentage pass rates of Lambeth Schools are in the main, above the national average and would compare very favourably with the performance of schools in say, West Sussex, the neighbourhood in which Mr Martin intends to build his new school, with the help of £17m worth of taxpayer’s money as approved by the Department for Education. Now, although the Durand Academy project has been lauded by some ‘as a wonderfully ambitious attempt to give children from one of the most deprived parts of London an Eton-style education’ others have been less enthused. (with a pass rate of between 60-70%), capable of providing a ‘Good’ or ‘Outstanding’ education for the self same students. 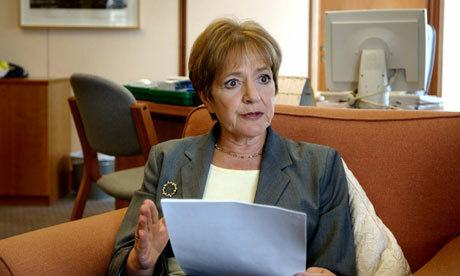 On this occasion both the National Audit Office and Margaret Hodge were fortunate. Mr Martin elected to reprimand them both by way of a written letter expressing his disappointment at their lack of enthusiasm and setting out his proposals,reminding them both that the school had already self-funded itself to the tune of £8m. What Mr Martin failed to explain in his letter was why he felt the need to set up a secondary boarding school when there appears to be so little wrong with the quality of secondary education in Lambeth(according to OFSTED). Perhaps the answer lies with Mr Gove, who has frequently stated that his intention is to produce an education system that will not only equip students to excel at university, but will also provide the next generation of skilled workers. With that in mind one wonders what he and his department are doing to ensure those 41.7% of students who don’t excel academically, are able to receive the kind of vocational training that will equip them to take their place as skilled workers in the modern world. And which common place person would dare to disagree with him? 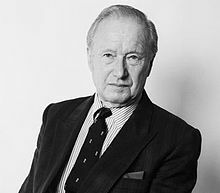 There is, after all, a reason why this former Minister of State for Education earned his peerage. Just as surely as there is a reason why Mr Greg Martin, having taken his school from moral failure to outstanding brilliance, was awarded his knighthood. Can I just pause for a minute to thank the headmasters of the following Lambeth primary schools for also having a hand alongside their teachers in the improvement of their schools? Let me see, there’s Clapham Manor Primary (rated as outstanding),Henry Cavendish Primary (outstanding), oh, and Allen Edwards Primary (also rated as outstanding). Then there’s Glenbrook Primary (rated as good), these are all good schools, none of whose Heads appears to have been awarded with a peerage as yet, though in the future who can say? The quality of education in Lambeth’s primary schools is such that teachers are falling over themselves to teach there;one rarely hears of young teachers serving out only two months of their time, and then going to law in order to air their grievances, unless of course that school happens to be the Durand Academy. The teacher concerned found herself forced to consult with her union, and then had to take her case (which she had won), to an Employment Tribunal. Whereupon she then had to apply for a County Court Order, in order to force the school to pay her the sum which had been awarded to her by the Employment Tribunal. “We heard much evidence about the management of Durand School in this hearing which concerns us, in particular regarding the way induction and school teacher’s pay and conditions were managed. It is not our function to deal with such issues but we note our concern”. Interestingly Lambeth Council had prior to this expressed concerns to the school, with regards to the drop out rate of its NQTs. Lambeth overall had a drop out rate of 1%, this contrasted starkly with the Durand Academy, who between 2001 and 2006 recruited 101 NQTs, 39 of whom failed to complete their induction year, a drop out rate of about 40%. The Durand Academy has admitted to incurring £387,00 in legal costs as a result of pursuing legal proceedings against Miss Newall and her father. But that is as nothing when one contemplates how much was spent on issuing legal proceedings against Lambeth Council and its auditor (I’ll touch on that some other time).